Blackthorne Partners will continue to build its portfolio of small private companies. Prospects typically have a minimum of $1 million in EBITDA and $5 million to $20 million in revenues. We are currently invested in the following businesses. Managecore's mission is to disrupt the SAP service industry — to put Clients goals first — exposing critical information, hiring the best talent available and utilizing modern toolsets to breed efficiency allowing everyone to focus on high value activities. We are successful when our Clients are successful. Schaefer Brush Manufacturing, LLC of Waukesha, WI is one of the most diverse brush manufacturers in the world. We have over 100 years of experience in developing, engineering and manufacturing products to serve a wide range of industries. Blackthorne Partners purchased the assets of Schaefer Brush in June 2015. Design Specialties, LLC is a Milwaukee manufacturer of fireplace doors, screens and other hearth accessories sold at specialty hearth retailers throughout the U.S. and Canada. Founded in 1983, the company has become a market leader with a strong, established dealer base. Blackthorne Partners purchased the assets of Design Specialties in March 2015. 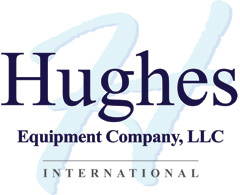 Hughes Equipment Company has manufactured high-quality equipment for the food industry. The company's experience enables them to provide the best food processing machinery on the market. Blackthorne Partners purchased the assets of Hughes in March 2014. Berlon Industries is a leading manufacturer and supplier of after-market buckets, parts and accessories for skid loaders, telehandlers and compact utility tractors. Blackthorne Partners purchased the assets of Berlon in November 2012. Pallet USA is a leading Wisconsin-based buyer and supplier of competitively priced pallets. It also is the platform from which we hope to launch a best-in-class regional pallet manufacturing and recycling business. Blackthorne Partners invested in Pallet USA in May of 2011, and in January 2014 purchased the assets of Goeman's Wood Products to add to the company's capabilities and geographic reach. We are actively seeking other pallet company acquisitions.